Yes, I realize it’s been a month since my last post. I’ve been busy with this blog/writing though still. I really have! I’ve been keeping my Date Night Subscription Boxes list up-to-date (and getting to know some exciting new companies and try out a few boxes) and if you follow me on facebook, you’ve seen that I’ve started writing weekly articles for a great little website that encourages love, dating, and marriage. B) I talk a lot about marriage in this blog. See below to see which days a new giveaway will be opened, and come back everyday this week to enter and win! 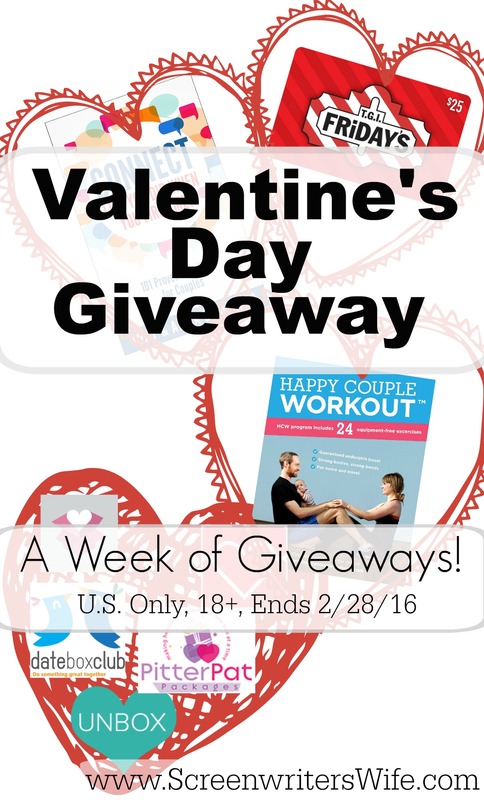 All giveaways are open to U.S. Only, age 18+, and end at 11:59pm PT on 2/28/16.